Cakewalk today did something quite unorthodox for the company: it launched a product on Facebook. The results are what clearly aim to be a GarageBand killer for Windows users. 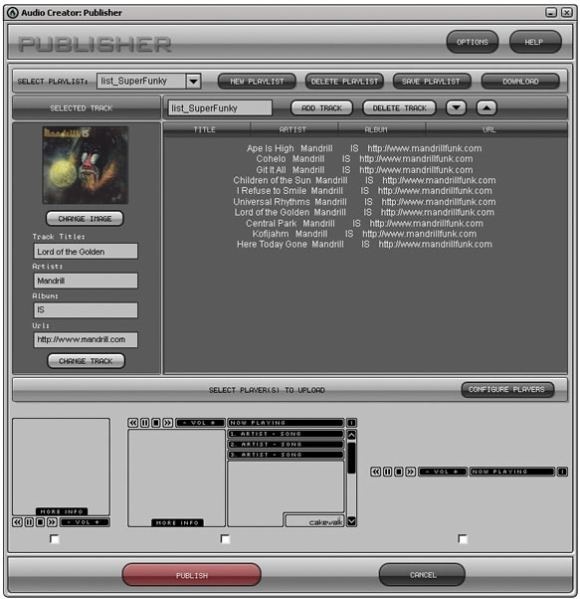 Music Creator had always, quietly, been a big hit for Cakewalk: it’s cheap, entry-level software for the PC, which has the potential to reach a big audience of computer users. But the software itself was nothing to brag about, with a dated-looking interface. Music Creator 5 looks stunningly different. The arrangement window has the familiar, GarageBand and ACID-style loop arrangement window. 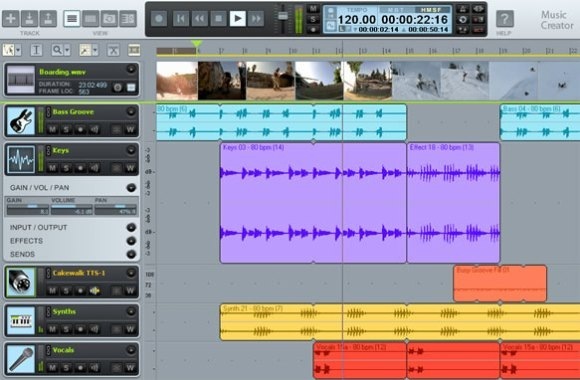 But there are additions you might expect in a bigger DAW: quick in-line access to track parameters, video preview frames at the top, elaborate time displays and editing tools. There’s also a sophisticated-looking mixing mode with graphical EQs and other options. There’s also quite a lot of instrumental and effects content for a $35 app. You get preset playback features – a bit like what you get in Kore Player, down to the pre-mapped 4-8 knobs and 4 trigger buttons – with 150 instruments. There’s the rather sophisticated Studio Instruments Drums for some acoustic and electronic drum parts, making it easier to actually program your own patterns rather than rely on loops. Cakewalk also includes easy Flash-based music player creators, so you can share your finished tracks easily on the Web, and notation publishing features with tablature and guitar chord support. In other words, you get the power of what might once have been a flagship Cakewalk DAW, for 35 bucks. (Windows-only) Some of the power options may actually be a bit intimidating to beginners – recently, I’ve heard that complaint even applied to the comparatively minimal GarageBand. Cakewalk’s clever Publisher tool makes it a snap to export directly to an embeddable player. As far as value, though, there’s a whole lot in this box, and a nice balance between looping features and the sort of acoustic drums and notation and sharing features that could appeal to bands just starting to add a computer. I actually think the integrated interface in Steinberg’s rival Sequel is a bit more efficient and runs on the Mac, too, but there’s quite a lot of added-in functionality in Music Creator that makes it broader in scope, and some of that added power may be a deal-maker depending on your needs. The toughest competition for this, I think, is the elegant and flexible REAPER, which also costs just 40 bucks for a non-commercial license. Cakewalk gives you a lot more in the box, but the host itself in REAPER is objectively more powerful and can actually stand up against high-end DAWs. It’s too bad that there isn’t an entry level app out there that doesn’t fit in the ACID/GarageBand mold, but I can’t really argue with the price.